Watch Jason Rohlf's interview with Milwaukee Public TV’s The Arts Page, hosted by Sandy Maxx. Making navigational decisions is subjective to the individual and the inputs are sometimes contradictory. Through a combination of deliberate action and intuition the works hope to reflect back the myriad choices we all are confronted with on a daily basis. Jason Rohlf continues to document visual sensibilities in his multifaceted paintings. 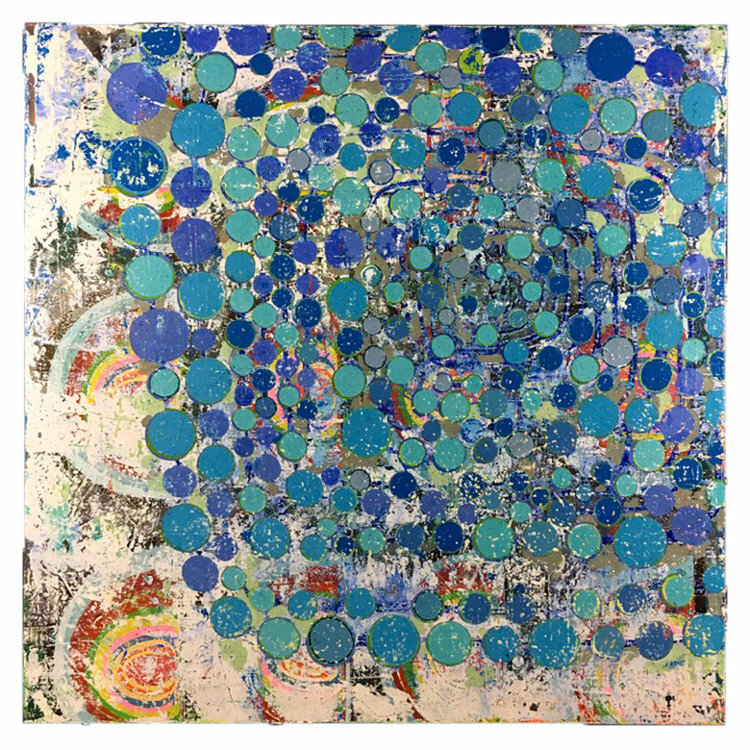 Vibrant and beautifully textured, his paintings are an exploration of surface, texture, and color. Rohlf employs elements of collage and drawings and embeds them in thick layers of varnish to obscure the lines and shapes underneath. The end results are visual reminders or clues telling how important certain influences have been, including city streets, digital media, and maps. Originally from Milwaukee, Rohlf studied at the University of Wisconsin-Milwaukee and moved to Brooklyn in 1999. He has exhibited his work across the country, created a public installation for the MTA, lectured for the Pratt Institute, Bowling Green University and Lawrence University among others. He was recently awarded Sam and Adelle Golden Foundation for the Arts Artist in Residency and interviewed by MPTV’s The Arts Page.